We want you to include Charlotte Van & Storage in your consideration of Monroe moving companies. The reason is simple; we treat your belongings with care and provide extra protection to fragile items. We also don't treat you like a number, because you can't personalize a move when you don't even know your customer's name. A Monroe mover is courteous and abides by the instructions of their supervisor and the customer's requests. Local: Don't make multiple trips down the street with a rental truck; instead receive full-service packing from the team of Monroe movers. Long Distance: Driving hundreds of miles or taking a plane or boat to your destination overseas can be draining. 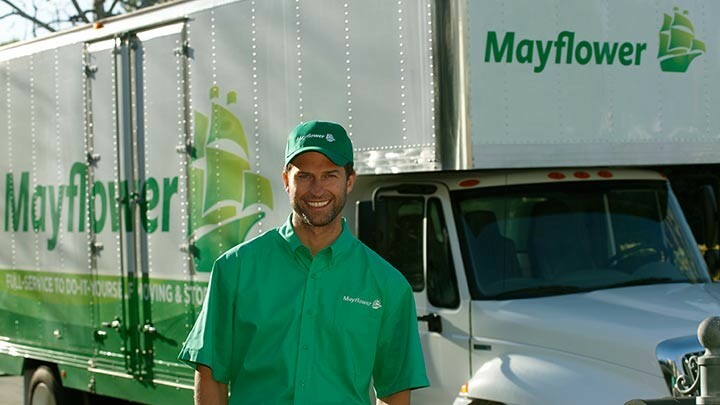 Let our movers unpack and set up all of your appliances. Residential: When you arrive at your new home, our movers will be right behind you with plastic sheets to line the walkways before they begin moving in your furniture and boxes. Commercial: Relocating an entire business should be done with little downtime. We will work around your schedule so that you may do what you do best - operate a successful business. Among the many Monroe moving companies, the Monroe movers at Charlotte Van & Storage receive yearly training to make sure their skills are at the top of the industry. Call us today to find out what makes Charlotte Van & Storage one of the top moving companies in Monroe. You can also fill out our free online quote form to receive an estimate on your moving and storage services.